Client: KMC Innovative Technologies, Inc. Logo design for a full service custom software and IT company based on Long Island in New York. 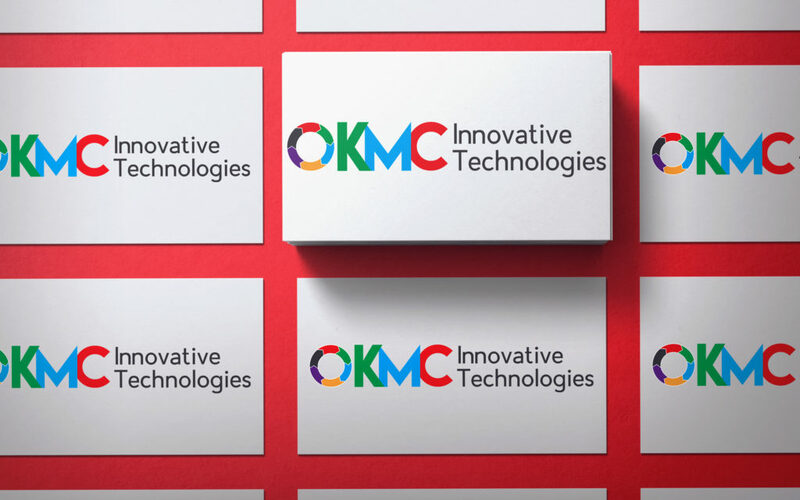 Objective: Kathy Caldarola, owner of KMC Innovative Technologies, Inc. decided that her 30+ year old company needed a bit of a fresh facelift. Over the years, Kathy had added more and more services to the list of what KMC offered. Formerly KMC Computer Services, Inc, Kathy changed the name to KMC Innovative Technologies, since the company now provides much more than custom software. The new logo and branding design is meant to include an easy reference to each of these services. Each color on the circle signifies one area of service that KMC Innovative Technologies offers. I created the original KMC logo at the very beginnings of my design days. Kathy loved that the logo signified the different services offered by the company. The binary in the K stood for coding software, graphic design in the M, and the website development in the C.
At first, I streamlined the idea down to a coding reference, using the </> coding syntax around KMC to signify custom software. This was before Kathy decided to change the name of the company and to focus on a wider spread of services. Kathy wanted brighter colors to catch eyes, and at that point, she decided to move forward on changing the name to Innovative Technologies and expanding services. She also really like that the first logo was housed in an image of a computer. I started playing with the idea of and abstract graphic showing multiple windows open on a computer screen. That allowed for some fun options in coloring – multicolored for everything general and splitting off into monochrome versions for each service’s specific color. In the long run, Kathy agreed to drop the computer imagery for the cycle symbol, which shows how each service that KMC offers work together to create a complete technology system.